Industrial Tools & Equipment ads in Australia. Thank you for visiting our free advertising website Industrial Tools & Equipment, Australia section. We provide high response free classifieds and free advertisement. Use our online free Industrial Tools & Equipment classifieds placement system to find, list, offer Industrial Tools & Equipment online! World leader of providing lifting equipment and services to a broad range of customers which include but is not limited to manufacturing and process industries, oil & gas, power, steel, pulp and paper, mining, construction, ports and terminals. 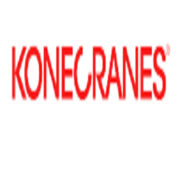 Regardless of your lifting needs, Konecranes is committed to providing you with lifting equipment and services that increase your safety and productivity. 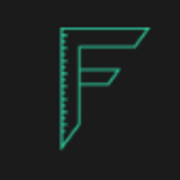 FabriLAB is a well equipped Manufacturing outfit Based in South East Melbourne, Australia. We use 3D CAD and CNC manufacturing through 7-10 layers of software to arrive at the products we create in every project. This workflow makes it possible to achieve flawless finish and the perfect fit our clients have become accustomed too. Australian owned stainless steel supplier. We stock every type of stainless and can cut, bend or weld to order. Delivery available. Call us today for a free quote 03 9794 7250 Website:	https://www.archermetals.com.au Phone:	03 9794 7250 Email:	sales@georgearchermetals.com.au Address:5 Ordish. 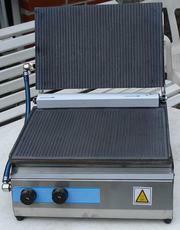 Heavy Duty Contact Grill Toaster Panini Gas Lpg LP Iron Griddles 2x heater, 2x knobs Dimensions: width:44cm (inches: 17.32) height:32cm (inches: 12.59) length:40cm(inches: 15.74) Plates: lower:40cm x 25.5cm (inches: 15.74x10.03) top:38cm x 25cm (inches:14.96x9.84) Weight: 19kg / 42.22. Machining Operations - Acast is capable of performing many Machining Operations from simple drilling, tapping through to CNC machines in Australia & China. For More Information Visit Our Site Today : http://www.acast.com.au/products/machining/ Contact Name: Michael Murauer Ph 02 8006 5346 Email: abigailaaronson2210@gmail. Kiel Industries, a custom rotational moulding company, specialised in custom plastic products. We manufacture sophisticated parts, components, pieces and products in a variety of plastics. We provide a huge list of custom plastic products that we design and supply. Discuss your project needs, for more information about our services, just visit our website: https://www. 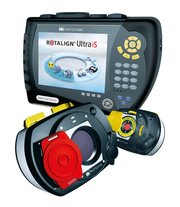 ROTALIGN Ultra Hydropower: $11, 000 ROTALIGN Ultra iS : $9, 500 Rotalign Ultra : $7, 100 Shaftalign Price : $4, 000 Optalign SMART RS : $6, 000 Optalign Plus SF : $2, 600 Emerson CSI-2130 $5, 250 Emerson CSI-2140 $8, 750 SKF TKSA 80 LASER: $6, 865.99 SKF TKSA 60 Laser: $4, 503.99 SKF TKSA 40 LASER: $2, 588. Acast provide quality Steel Paint Coatings services for commercial industry and contractors. Advice and top service. Australia-wide delivery. There are many surface treatments / coatings available this is just a sample of the common types requested. For More Information Visit Our Site Today : http://www. 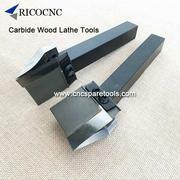 Carbide CNC Wood Lathe Knifes for Woodturning CNC Lather Machine This CNC wood lathe knife is a new design carbide wood lathe cutter, it is used with CNC wood turning lathe machine, reduces the tool changing times greatly during one day working. This carbide lathe knife eliminates the need for frequent sharpening which is very common in lathe turning woodworking. Ballnose big long foam mill bits for eps poly foam cutting Thes long router bits are custom made cutters for big fast foam block deep CNC milling. Widely used used with form mould making cnc router for cutting polystyrene foam, EPS foam, EVA foam, Styrofoam, etc. 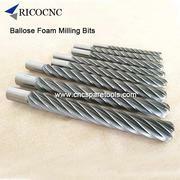 Long Foam Mill Bits Features: 1, High Speed Steel (HSS) hardness: HRC 61-64. 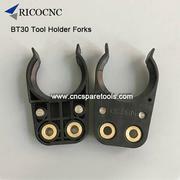 BT30 Plastic Tool Holder Fork Finger Clips for CNC Machines This tool change fork is the BT30 tool holder clips. It works with ATC tool magazine for clamping BT30 toolholders. It is widely used on cnc router machines like Laguna Smart Shop 2 with liquid cooling ATC, and cnc milling machine tool magazine like SUN. Custom-designed automated equipment and robotics tailored to unique applications and processes. Offering a complete design, construction and integration service. 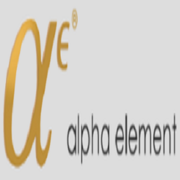 Website: https://www.alphaelement.com.au/ Phone: 04 1113 0249 Email: info@alphaelement.com.au Address: Manly NSW 1655 Australia. Castor wheels are the most innovative products for the industries. if you are running a material handling industry, then you must need to install suitable castor and wheels for smooth efficiency. 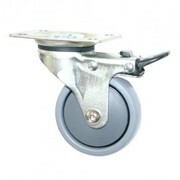 Equip2go are offering the best kind of industrial castors for their clients. Plastic crates are big containers, which aid greatly in transporting and storing things together. They are usually prepared from durable plastic to offer them the required strength and durability. Unlike crates that are made of other materials, such as wood, these crates are unbreakable in design..
We have been selling Industrial Castors and Wheels for the last 2 decades in Melbourne. 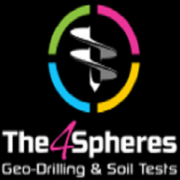 Over the years we have gradually expanded our branch network from Melbourne to Perth & Brisbane to give you a competitive price and a better customer service..
Industry professionals specialising in residential soil tests, or whenever soil tests are required, friendly services, fast turnaround times, and competitive prices, call Chris 0400 372 763 or email us for quote office@4Spheres.com.au Website: https://www.4spheres.com.au/ Address: 36 Throssell Street Bittern VIC 3918 Australia. Team Systems is the leading name in the realm of material handling products and equipments like industrial castors, industrial trolleys, drum handling and storage equipments, lifting and handling equipment, ladders and ladder accessories, plastics and shelving. 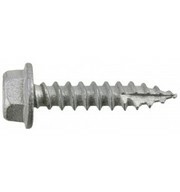 T17HX1250C4 HEX HEAD 12G X 50MM C4 GALVANISED SCREWS 12-11x50 SuitableBaseMaterials: Timber Box Qty: 1000 Coating: CLASS 4 Head / Drive: HEX 5/16 Thread Length MM: 33 Min Embedment: 30. S&A water chiller CWFL-1500 for cooling 1500W metal fiber laser machine Laser industrial refrigeration chiller CWFL-1500 is produced by Guangzhou Teyu Electromechanical Co., Ltd. For over 16 years in screening and training, we integrate lots of superior components suppliers. Our brands"S&A" and "TEYU" have gained approval and trust from thousands of manufacturer at home and abroad which enables our product export rate maintained at over 60% in long-term. S&A chiller CWFL-1000 for cooling 1000W fiber laser cutting & engraving machine Laser water cooled chiller model CWFL-1000 is produced by Guangzhou Teyu Electromechanical Co., Ltd. For over 16 years in screening and training, we integrate lots of superior components suppliers. Our brands"S&A" and "TEYU" have gained approval and trust from thousands of manufacturer at home and abroad which enables our product export rate maintained at over 60% in long-term. S&A laser chiller CWFL-800 for cooling 800W fiber laser cutting machine Laser chiller CWFL-800 is produced by Guangzhou Teyu Electromechanical Co., Ltd. For over 16 years in screening and training, we integrate lots of superior components suppliers. Our brands"S&A" and "TEYU" have gained approval and trust from thousands of manufacturer at home and abroad which enables our product export rate maintained at over 60% in long-term. S&A industrial chiller CW-6000 for cooling vacum system S&A industrial recirculating water chiller model CW-6000 is produced by Guangzhou Teyu Electromechanical Co., Ltd. For over 16 years in screening and training, we integrate lots of superior components suppliers. Our brands"S&A" and "TEYU" have gained approval and trust from thousands of manufacturer at home and abroad which enables our product export rate maintained at over 60% in long-term. S&A CW-5200 water cooled chiller for cooling UVLED exposure machine Industrial refrigeration water cooled chiller model CW-5200 is produced by Guangzhou Teyu Electromechanical Co., Ltd. Integrity, Pragmatic and Enterprising are TEYU core values. They make us always adhere to Quality First on our design and production concepts. 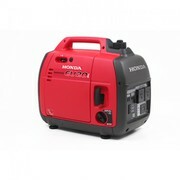 Looking for a great deal around Brisbane for a quality generator like Honda. The General Mowers and Power Equipment have the biggest range and best prices on generators for delivery in Brisbane. Honda generators are reliable, easy to start, and fuel efficient. Honda generators have a reputation for smooth and quiet operation. Get a portable generator and protect yourself from the emergency of power outages. At PowerCare, we help you ensure the eternity of power supply in your home, or general facility by providing you with the best portable small generators for your power needs. http://www.powercare.com.au/product-category/portable-generators/. 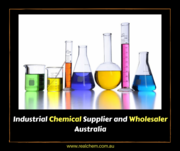 RealChem is Australia’s one of the fastest growing premier supplier, wholesaler, importer and distributor of bulk and speciality chemicals, minerals, organic and inorganic raw materials and derivatives. We leverages our scientific expertise, sustainable growths and in continual supply technology platforms to enhance the entire discovery, development & manufacturing value chain. HNW is the application partner for the Australian process industry. Keble’s Trading is one of the best suppliers of building and industrial components. Our products range from high quality balustrade, handrails, glass and stainless steel fittings to industrial wire rope and rigging, chain, hoists, height safety, materials handling equipment and lifting equipment. Call 1800 067 687 for more information. 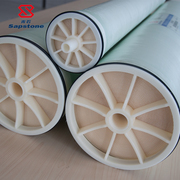 Tianjin Kung ta new material technology Co.ltd is leading manufacturer of ro membrane with more than 8+ experience in China. Sapstone is our own brand. We have developed full automatic rolling machine, so our stable annual output is 5 million pieces. The Models from 50/75/80/100GPD to 200/300/400/600GPD upto 4021/4040/8040. Australia free ads for Industrial Tools & Equipment, Australia, Industrial Tools & Equipment free ads Australia, Industrial Tools & Equipment for sale Australia, Industrial Tools & Equipment to buy in Australia. Find on this page free classifieds for Industrial Tools & Equipment in Australia. This listing includes classifieds for sale and to buy in Australia. FREEADSAustralia Australia offers you a platform to post free advertisements or classifieds for Industrial Tools & Equipment in Australia. FREEADSAustralia helps you search, find buy, sell, rent or hire in various categories like apartments, goods for sale, local services, cars , jobs and many more in Australia. If you posted an advertisement in category Industrial Tools & Equipment of FREEADSAustralia Australia before please use Edit my ads button to change or cancel your ad. Industrial Tools & Equipment Australia ads Australia, Industrial Tools & Equipment classifieds Australia, Industrial Tools & Equipment free ads Australia, ads for sale Australia, ads to buy Australia, FREEADSAustralia Page number 2-1. Find here ads for sale, to buy and rent in Australia. Goods for sale in Australia, vehicles for sale in Australia, Australia real estate for sale, Australia property for sale, property for rent in Australia, business ads in Australia, Australia business classifieds, services in Australia, Australia services ads, jobs in Australia, pets for sale in Australia, Australia dating, Australia cars for sale.